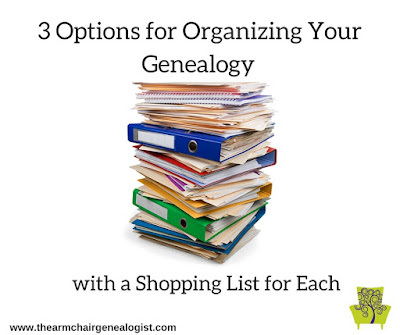 Ask anyone who has spent years researching their ancestors and they’ll tell you one of the best things you can do for yourself as a beginner is to start with a good organisational system for all the records you’re about to acquire. It’s easy to get excited about the research and your finds and not take the time to file and organise your research properly. Trust me I know. I’m still digging out from not investing in a good system. So don't end up like me, organising 15 years in. And yes, investing is the right word. You need to spend a little money to have the right tools available to you to file and organise your paper as you acquire them. If the supplies aren’t easily available to you, and you don't have a system in place you simply won’t do it. You'll have one of those I’ll get to it moments. Twenty years later, you're drowning in an unorganised mess. Trust me, it happens in a blink of an eye. So make an investment in some supplies up front. How do you know what you need? That will depend on the method you choose to organize your research. 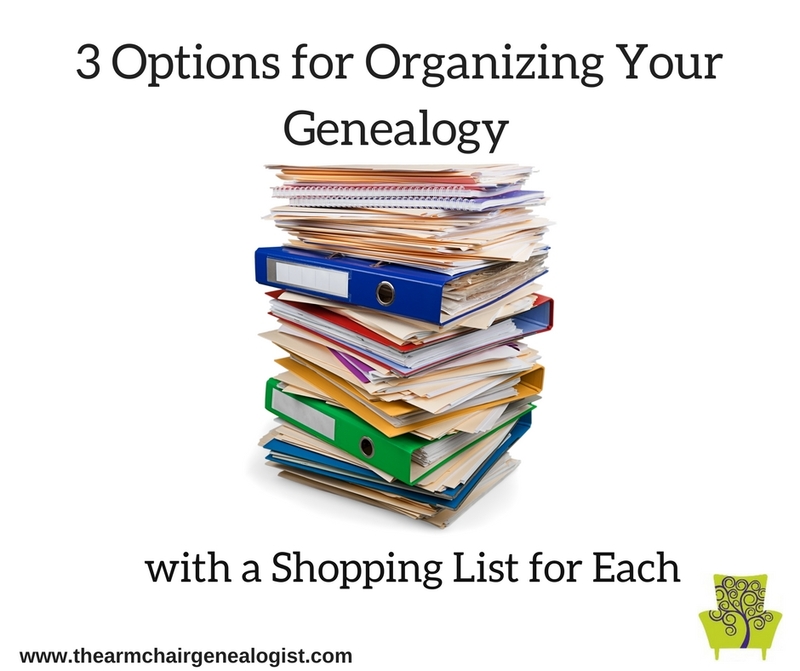 There are basically three ways you can organise and store your genealogy, with binders, a hanging file folder system or archival boxes. I worked in an archive with a curator for a few years, and I fell in love with archival boxes so that is my go to, but the choice is yours. There are essentially two systems you can look at to organise your genealogy files, one is by surname, and one is by accession. Let’s suppose you have a 1900 Census record that lists your great-grandfather, his wife and children. With an accession system, the document becomes the focus as opposed to the people in a surname based filing system. You give the census record a number. For example, CR1900-123, then you create an index, and you link all your ancestors in that census record with that ID number. This is a great system if you have a number-based brain. Not me. I’ll opt for the surname system. Let’s take a look at it. For most people organisation of their genealogy happens by surname, it seems the most logical. Start with the surname and then you can organise within the surname file by the individual. Another option is to organize by the couple. There are three options for organizing your files. The tools you need may vary slightly depending on the one your choose. Acid-Free Paper Pick up a couple of sizes like 8 1/2 x 11 and 11 x 17. Tip: Regardless of which system you use an inventory sheet is a great tool to put on the front of your file folder, binder or archival box so that you can give a quick look and know exactly what is inside. Saves a lot of time searching.